Weddings are magical and unforgettable moments. 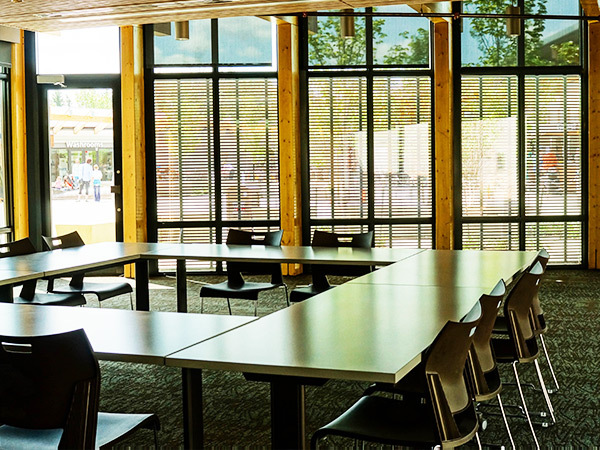 Host your special occasion in one of our rooms or sheltered picnic site at the Edmonton Zoo! Your guests can enjoy the unique views of otters playing during your event or get to mingle and discover our other zoo residents. 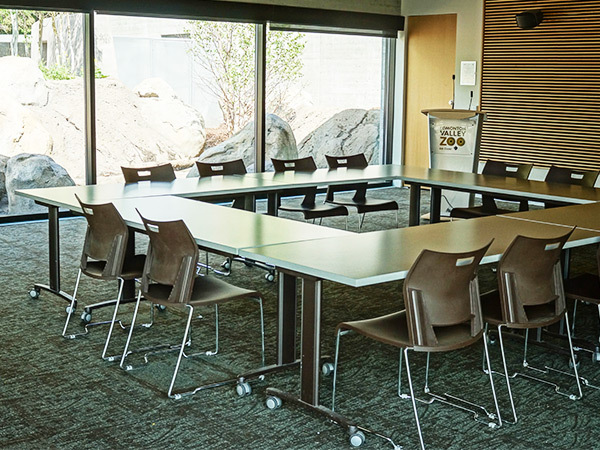 The Otter Room located just inside the Edventure Lodge offers an amazing view of the Otter Exhibit and plaza and has a state-of-the-art sound system installed for use! We have three classroom spaces (minimum two hour rental), two of which can be expanded into a double classroom to accommodate larger groups. 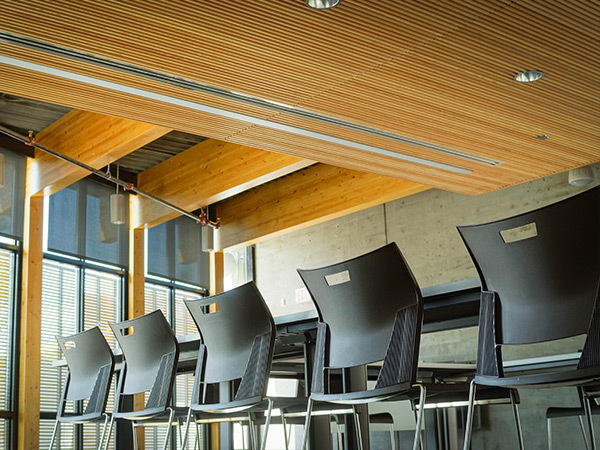 Our double classroom can accommodate up to 100 guests (with tables) or 120 guests (theatre style). When you book an event during the day you will have access to the Edmonton Valley Zoo’s tented picnic site. Everyone in your party will have access to all public exhibits, including the Urban Farm, daily interpretive talks, and demonstrations. *Rental fee does not include individual admission fees. After hours, your group has access to the entire Zoo facility including the train, carousel, paddle boats and Urban Farm. Your guests will have a chance to “Get Closer” to some of our smaller tractable animals. The per person fee with this special package is even more affordable than purchasing individual adult admission passes. We also offer a variety of add-on Zoo experiences to further enhance your event. Please ask your Facility Representative for more information.